It was a memorable day for Nigerian entertainment industry as,Annie, said Yes I do to her long time lover,Innocent Ujah Idibia popularly known as 2face. The ceremony that ushered the two into the married club started with an elaborate traditional marriage two weeks ago at Eket Community,Akwa Ibom state, Nigeria. The solemnization on Saturday, March 23rd, 2013 was in Dubai,the United Arab Emirates while families, friends and well wishers enjoyed a lunch reception at the Jumeirah Beach Resort. We gathered from a reliable source close to the Idibia clan that pressure had been piled on the musician by his mother since news broke months back that he was expecting a sixth child from mistress, Pero Adeneyi, to find a wife and settle down. For over a decade since Annie and 2face’s paths first crossed, their turbulent relationship has remained a tabloid target and is constantly in the eyes of the public. Amidst the presence of two major characters/lovers in the singer’s life – Sumbo Ajaba and Pero Adeniyi – who bore him five children, the University of Lagos, Theatre Arts graduate has held her head up high, brushed off negativity and focused on honing her acting career and her romance. Any hint of pain or heartache is virtually undetectable as Annie, who also has a daughter – Isabela – for the singer, always puts up a brave front. Although the youngest of all three, she, like the others, has on various occasions waged media wars against Ajaba and Adeniyi, sometimes opening a can of worms on social media, Facebook and Twitter. Her claim to fame includes being one of the models in 2face’s 2006 award-winning break out music video, African Queen. Although she has yet to demonstrate any overwhelming acting prowess, the only girl in a family of four got into the spotlight after emerging a runner-up in the Reality TV Show, Next Movie Star. She lost out to Kingsley Ogboso and controversial actress, Tonto Dike. Since 2008, when she began acting professionally, she has starred in several movies, the most popular being Blackberry Babes. In the same year, she lost her first pregnancy for 2 Baba, as the singer is otherwise called, after an armed robbery attack on April 12. Over the years, 2face, who is a self-confessed womaniser, has been linked to several women, including former Miss Nigeria, Vien Tetsola, and former actress and model, Caroline Danjuma – nee Ekanem. But three women have remained a constant feature throughout the career of the Benue State-born crooner. 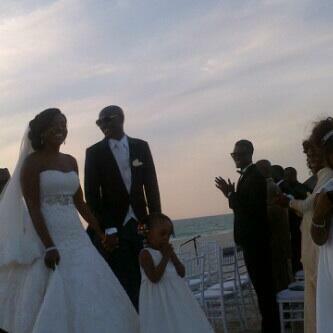 Ajaba, who bears a striking resemblance with 2face, is a divorcee and has two boys for the singer. The least vocal of all his baby mothers, she is now said to be a born again Christian and planning to remarry. She is a choir leader and praise leader at Royalty Christian Centre, Orile Agege, Lagos. The former banker is also said to be an entrepreneur now, and is believed to be a close friend of Annie. At least, they are constantly in touch on Twitter. As the daughter of POATSON boss, Jide Adeniyi, Pero’s relationship with the singer dates back to 2005. According to reports, after being attacked by robbers in his Festac home, Idibia was injured and traumatised. While on admission at the hospital, ladies trooped in to visit and wish him well. Adeniyi was said to be one of the lot and a relationship kicked off almost immediately. The lady said to be very committed as far as the relationship is concerned has produced three children for him.